SEZAD will organize a promotional campaign from the 22nd to the 26th of September, in the Italian Capital Rome, under the theme \'Duqm Call\' with participation of a number of operating and investing entities and companies at SEZAD. The delegation is headed by H.E. 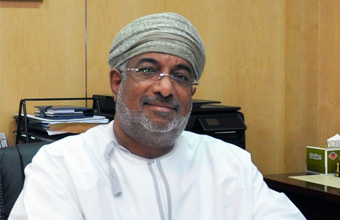 Yahya bin Said bin Abdullah al Jabri, Chairman of the Special Economic Zone Authority of Duqm (SEZAD), the delegation also includes a number of officials from SEZAD, The Ministry of Agriculture and Fisheries (MAF), The Public Authority For Investment Promotion and Export Development (PAPED), Oman Drydock Company (ODC), Port of Duqm Company, Oman Oil Company (O.O.C. ), Takamul Investment Company and Duqm Development Company (DDC). The campaign aims to introduce the climate for investment in the Sultanate and to attract Italian capitals to invest at SEZAD and to benefit from Italian expertise in various fields. The campaign\'s program also includes visits to a number of Italian Officials to discuss areas of joint cooperation between the two parties, SEZAD will also organize, in collaboration with Sultanate of Oman Embassy- Rome a seminar about investment opportunities at SEZAD. In the seminar, investment climate in the Sultanate in general will be highlighted focusing on investment opportunities, incentives, advantages and tax breaks that SEZAD offers to investors. In addition, visual presentations will be made during the seminar to introduce Italian entrepreneurs and investors to the projects that have been completed at SEZAD, current and targeted projects, available opportunities in heavy and petrochemical industries sectors, and tourism, residential, commercial and logistics projects, the fishery industries complex, and Port of Duqm\'s potential to become a pivotal port for Italian goods destined for Asian and African markets that are close to the Sultanate. The campaign also includes bilateral meetings between members of the Omani delegation and Italian entrepreneurs where various queries regarding investment opportunities, tax and other incentives and investment climate will be addressed also regarding proportions of foreign ownership in projects that are currently underway at SEZAD and other issues. The promotional campaign \'Duqm Invites You\' in Italy comes after previous campaigns success, and at the same time benefiting from the growth in economic relations between the two countries. Statistics show that trade exchange between the Sultanate and Italy reached approximately (576) million Euros last year (2013). Nearly 40 Italian companies operate in the Sultanate, there is also a significant presence of Italian trademarks in Omani Markets. The Sultanate and Italy seek, through joint meetings between the officials from both public and private sectors, to strengthen economic relations between the two countries and to find successful economic and commercial partnerships. The promotional campaign will allow Italian entrepreneurs and officials to take a close look at the climate for investment in the Sultanate and the government\'s plan to diversify the sources of national economy and available investment opportunities at SEZAD. This comes inline with SEZAD\'s efforts to attract foreign investments that will lead to achieving SEZAD\'s goals to make SEZAD an oasis for foreign and local investments. The participating delegation in the promotional campaign will also learn about Italy\'s experience and how to benefit from it in similar projects at SEZAD.